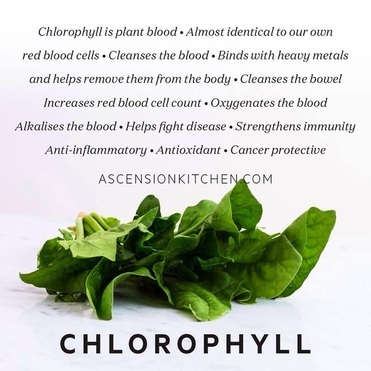 "Cells in the body require nutrients (i.e. vitamins and minerals) to function optimally. Many of these are referred to as micronutrients, to distinguish them from the macronutrient classes of fats, carbohydrates and proteins. When cells receive adequate micronutrients, you feel energized and full. On the other hand, many foods provide calories from macronutrients, but are devoid of the essential micronutrients cells crave. These are calorie-dense, nutrition-poor foods and this characterizes most processed foods." Click Here for few more reasons why vegetables, legumes, seeds, and nuts are so powerful. "Smoothies (and blended soups and sauces) offer a convenient way to boost both the quantity and quality of fruit and vegetable intake by reducing food particle size to help maximize nutrient absorption." "You might be surprised to know that the juice you are drinking is actually a smoothie. Sure, you think you know the difference between juicing and blending but I can’t tell you how often people share their favorite “juice” recipe with me ... but it’s not a juice." "Whether you’re making a nutrient-dense meal replacement, a protein-packed workout booster or a sweet treat, the flavor combinations are endless. The easy and forgiving nature of smoothies makes them a fabulous option for kids, novice cooks and busy people on the run who don’t want to compromise on flavor or nutrition." ​Light-Harvesting Chlorophyll Pigments Enable Mammalian Mitochondria To Capture Photonic Energy And Produce ATP. 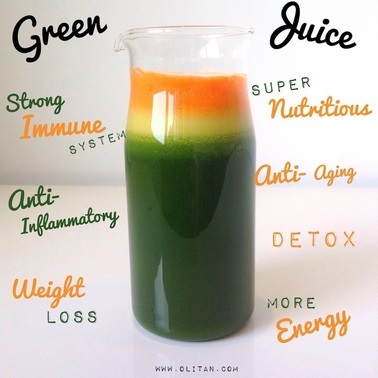 ​In other words, for extra energy, drink lots of green juice and get some sun!